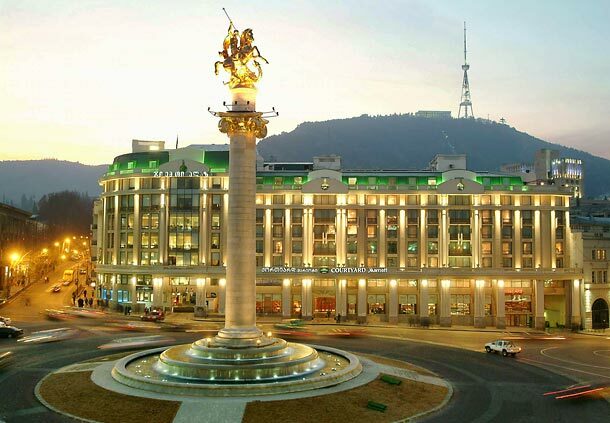 The third FIDE Grand Prix is going to take place in Tbilisi, Georgia from February 15 to 27. The two leaders after the first two tournaments, Caruana and Nakamura, will not play in Georgia - they are playing in Zurich - but the GP presents several very strong players: Grischuk, Giri, Vachier-Lagrave, Mamedyarov, Svidler, Andreikin, Jakovenko, Radjabov, Dominguez, Tomashevsky, Kasimdzhanov and Jobava. 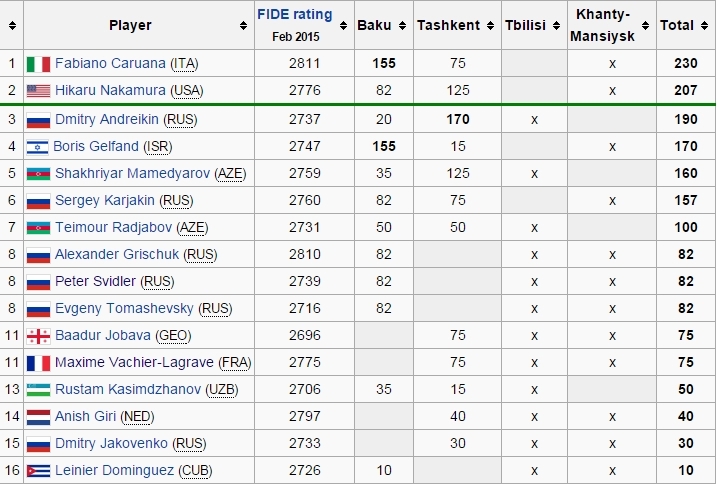 The latter is the only player whose rating is not over 2700, which gives an idea of how strong the Tbilisi tournament is. ICC will relay the games LIVE. Play starts at 6:00AM EST - 12:00 noon CET. Last round at 4:00AM EST - 10:00 CET.